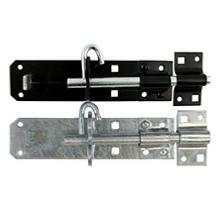 Ideal for securing flush mounted gates and shed doors. Padlockable and fixed with bolts for security. Max padlock shackle diameter - 10mm.